The woman likely deprived of medals by athletes later revealed to be dopers at the 2012 Olympics and both the 2011 and 2013 World Championships is angry about what she has lost and aware how the credibility of her sport has hit rock bottom. She does not accept a situation where past dopers like U.S. sprinters Justin Gatlin and Tyson Gay, who have won Olympic and world titles, are allowed back into the sport. 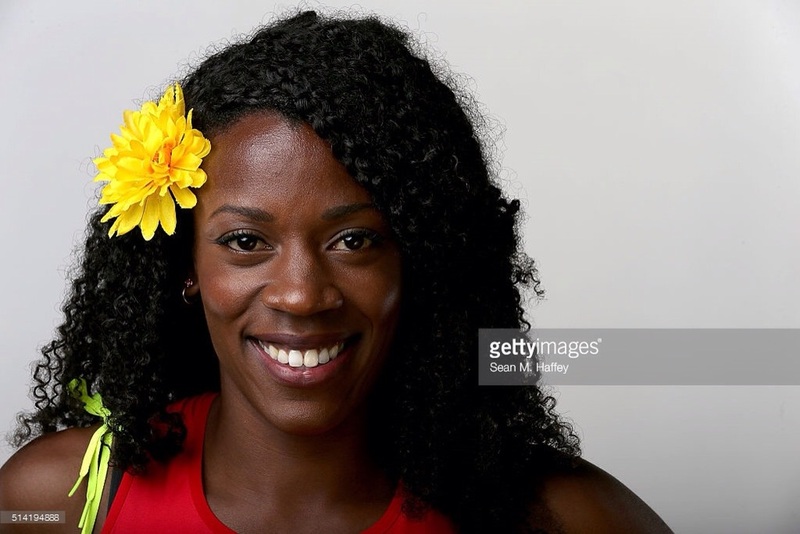 During a reception at the American Music Awards last fall, Montano was shocked to see a former doper - whom she would not identify - being presented as the face of U.S. track and field. It led her to ask, "What the hell is wrong with the culture of track and field? We don't celebrate old dopers. Once a doper, always a doper. There's no such thing as an old doper." So, I asked her, should Gay and Gatlin be allowed to compete? "No," she replied with no hesitation. Montano knows that could lead to some very cold shoulders in Rio. "Stealing is stealing," she said. Montano, 29, a six-time U.S. outdoor champion in the 800, finished fifth at the 2012 Olympics and fourth at both the 2011 worlds and 2013 worlds. In all three cases, enough athletes who finished ahead of her had doped so that, if they had been disqualied before the races rather than protected by a corrupt leadership at the international and Russian track federations, she would theoretically have been in the top three. Projecting such finishes can only be theoretical because the absence of certain athletes could have totally changed the dynamic of the races. It seemed bad enough merely that athletes were using performance-enhancing drugs. That the doping was being abetted by the people charged to prevent it delivered another blow to a sport already in a comatose state as a spectator attraction in the United States. Why, I asked Montano, would any fan believe what they are seeing? "Absolutely valid question," she said. "I don't know. My purpose is to be as vocal about it as possible, to give faith to people that clean athletes can win. I hope more clean athletes will feel confident in speaking loudly about it being unjust. "I think the time is now. So if you want to stay silent as a clean athlete, you can stay silent but I think you are missing an opportunity." One of her 2012 Olympic teammates, miler Shannon Rowbury, expressed similar feelings and emotions in a video post this week in which she decried dopers and asked that the international federation do more for clean athletes. Four of the five athletes who finished ahead of the sixth-place Rowbury in the London 1,500 have been linked to doping. "These cheaters rob people like me and my competitors of medals," Rowbury said. "They also rob our families, our support groups and our country." "You see how much this has affected the lives of those who were outside those medal podiums," Montano said. "Never having the opportunity to see my flag raised when I earned it, they can't let that happen again." The problem, of course, is skepticism necessarily shadows everyone in a world where testing was imperfect (hello, Marion Jones) even when results weren't being covered up. Clean athletes - and there undoubtedly are many - cannot prove conclusively they are on the right side of the angels, no matter how many times they are tested. There is a sense of despair emanating from Montano when she speaks about doping. She talks of how her 19-month-old daughter will be deprived of the sense of amazement that comes from watching brilliant running if it is clouded in doubt. She expresses little hope that things will be better in Rio, even if the current ban on Russian track athletes unexpectedly continues through the Summer Games. "My confidence is thin," she said.